Although Secrets of the Dead is the second book in a series, it's the first I've read by author Murray Bailey and works equally well as a standalone. It combined two of my favourite genres - Crime and Thriller. Along with a fair amount of archaeology and symbology, this book was right up my alley. Female protagonist FBI Special Agent Charlie Rebb is on the trail of a serial killer dubbed The Surgeon. Her investigation takes her to Cairo, Egypt. Meanwhile, in Egypt, archaeologist Alex MacLure has been contacted by a student who is convinced the pyramids are part of a conspiracy theory. He enlists MacLure's help to piece together an ancient message using the Amarna Letters. Before long Special Agent Rebb crosses paths with MacLure when it's discovered The Surgeon desperately needs information contained within the Amarna Letters. Events quickly spiral out of control when MacLure's girlfriend goes missing and is presumed to be in the deadly clutches of The Surgeon. This is a fast-paced, twisty thriller with an intriguing plot. It's very well-written with plenty of surprises along the way. It contains a sizeable amount of ancient Egyptian history and to someone like myself with an interest in this topic, it was compulsive reading. I'd describe it as Robert Langdon meets Indiana Jones! It contains a bit of everything - murder, religion, conspiracy, archaeology and history. A very enjoyable and thrilling read. Book Source: Review copy from the author. Beware the surgeon. He's not here to save you! Atlanta, Georgia. When a body dump is found, FBI Special Agent Charlie Rebb, thinks a serial killer has resurfaced. Called the Surgeon by the media, his tell-tale technique has everyone wondering why. But then the murders seem to stop again. Cairo, Egypt. Alex MacLure is contacted by a student who thinks he s uncovered a conspiracy involving the pyramids. He asks for Alex s help to piece together a message using new discoveries from the Amarna Letters. But the student disappears and Alex is arrested for a murder. Meanwhile the special agent sees a sign that the Surgeon is now in Egypt. 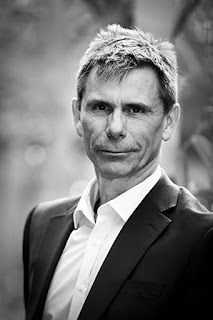 By day, Murray Bailey is an international Risk consultant. But in his spare time, he has written several crime thriller novels, of which the first to be published was the start of the "Dare You" series. 2017 saw the start of a new series based in Singapore staring Ash Carter. 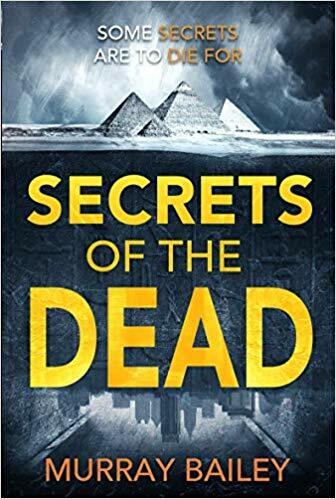 His interest in ancient Egypt resulted in the book Map of the Dead and the sequel, Secrets of the Dead due for release autumn 2018. Born in Manchester, England, Murray now lives on the South Coast with his wife and family.